Mario Cucinella won the international competition for the new European Institute of Design campus located on a 12700m2 site that was formerly occupied by the GHIA car factory. The project is for the renovation and construction of 9,500m2 of building that houses a library, lecture halls, offices, student residences and is surrounded by parking and gardens. The design addresses the strategic location of the campus within the city and the fact that it is bordered on two sides by the railway. The residential tower building is a strong architectural symbol that creates a visual link to Turin. A new low rise covered parking sits beside the retro-fitted warehouse buildings. The roof slopes up from the entrance plaza to a new raised public space with pathways, gardens, fountains and games area. It is at once a green lung in the industrial area and a true leisure resource for the students. The design objective is for a zero carbon building and the environmental strategies contribute to this goal. 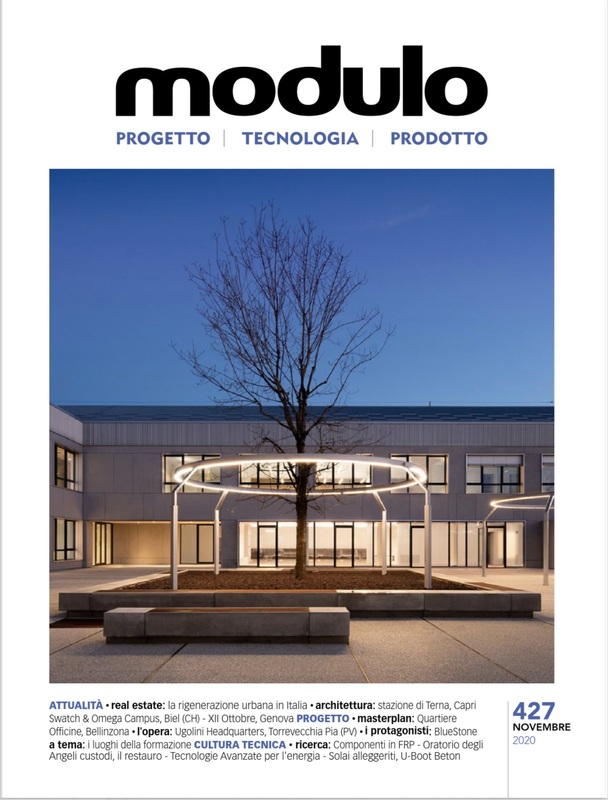 Cooling is only required in the school and office spaces and energy needs are met by integrated photovoltaics.